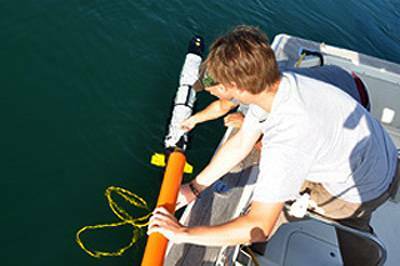 Marine Magnetics Corp from Markham, Ontario has successfully tested an AUV-towed Magnetometer. 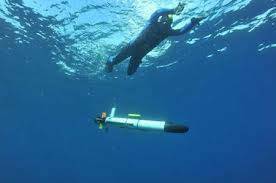 According to Doug Hrvoic president and owner of Marine Magnetics Corp, a company specialized in researching, developing and manufacturing marine magnetometers, OceanServer’s Iver2 AUV model was chosen for its design. “The Iver2 was designed to enable the integration of various sensors by a third party, and without direct involvement of the Iver developers,” says Bob Anderson, president of OceanServer Technology. “From a hardware standpoint, one approach has been to tow a sensor in the water column behind the AUV, and to connect a tow cable/electrical interface cable to a rugged, waterproof connector on the back of the Iver antenna mast.” That connector provides power and a serial communications port to the vehicle CPU he says. 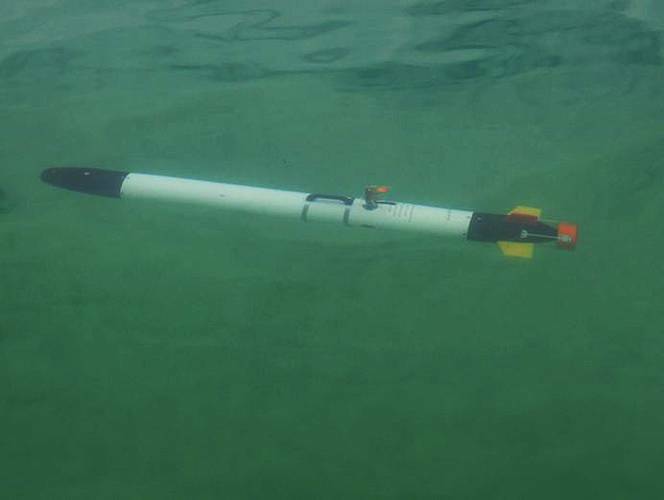 With the hydrodynamics and connectivity challenges taken care of, the crucial question of electromagnetic interference came next: the towing distance was just five meters aft of the AUV. So the next step would be to collect data under real conditions. “I had a really good data set that we could use to truth and check the quality of the data from behind the AUV,” says Hrvoic. 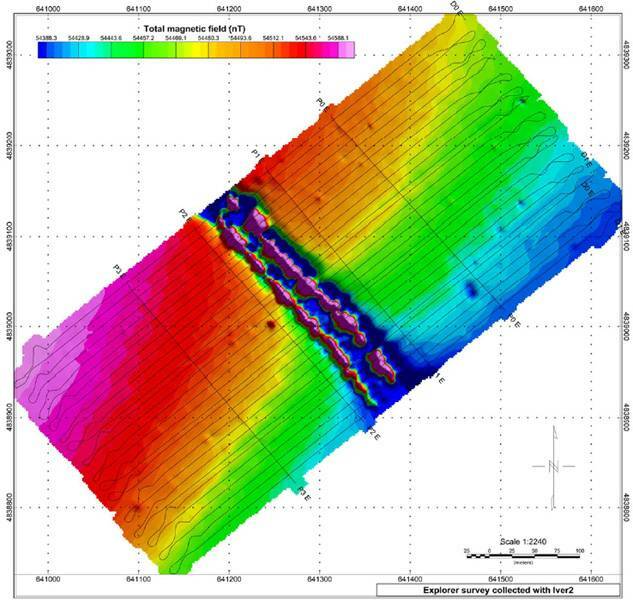 “And also the magnitude of the error that the AUV might be creating, if any.” Hrvoic’s data set was from the bed of Lake Ontario, which was an ideal testing ground because of its extensive non-magnetic sediment cover, making for magnetic gradients on a smooth geological background. Man-made objects show very clearly against it. Thus any error in the magnetometer data should show up precisely. Iver2-collected Explorer magnetometer dataset, showing two large steel water intake pipes over a smooth regional gradient background. The survey track is shown as a solid black line. The uniformity of the regional gradient illustrates the high accuracy of the data, showing no signs of heading shifts or motion induced error. Several small magnetic targets are clearly visible and can be correlated with the simultaneously collected side scan sonar data. 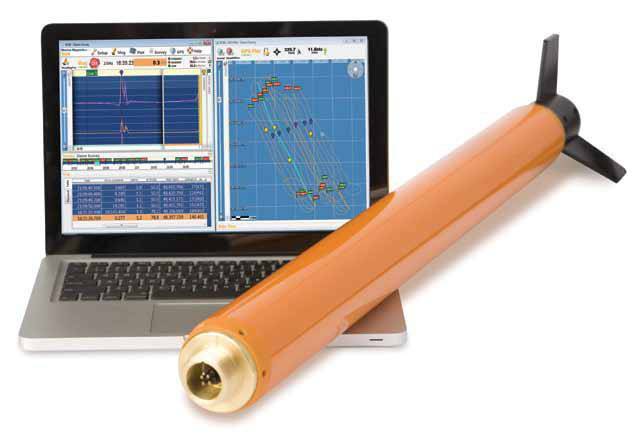 This partnership between Marine Magnetics and Ocean Server promises to be an interesting option for shallow water seabed mapping, especially when correlated with side-scan sonar data. I would be interesting to test this concept in deep water, using a deepwater AUV towing a deepwater capable magnetometer. I can immediately think of some good places to use this for shallow and deep water in Brazil, but this is an obviously useful concept for many shallow water locations anywhere in the world. The concept was first tested in Lake Ontario during a reasonably severe storm that included 2 meter waves, so it's definitely usefull and lakes and certainly for rivers and rivermouths too. Sources: Marine Magnetics Corp., OceanServer Technology Inc., and Earth Explorer Iver2-collected Explorer magnetometer dataset, showing two large steel water intake pipes over a smooth regional gradient background. The survey track is shown as a solid black line. The uniformity of the regional gradient illustrates the high accuracy of the data, showing no signs of heading shifts or motion induced error. Several small magnetic targets are clearly visible and can be correlated with the simultaneously collected side scan sonar data. For example, the anomaly at around 641475E 4839125N is visible in the side scan record as a small partially buried anchor. 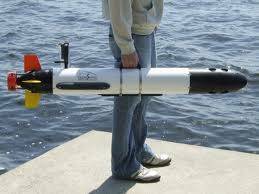 Use of AUV-towed magnetometers could reduce costs and time to complete seabed surveys, with improved accuracies. Pictured here is the Iver2 AUV with the Explorer Magnetometer rigged to be towed.